Suitable for: ideal for beginners, but suitable for all expertise levels of UI designers and UXers. 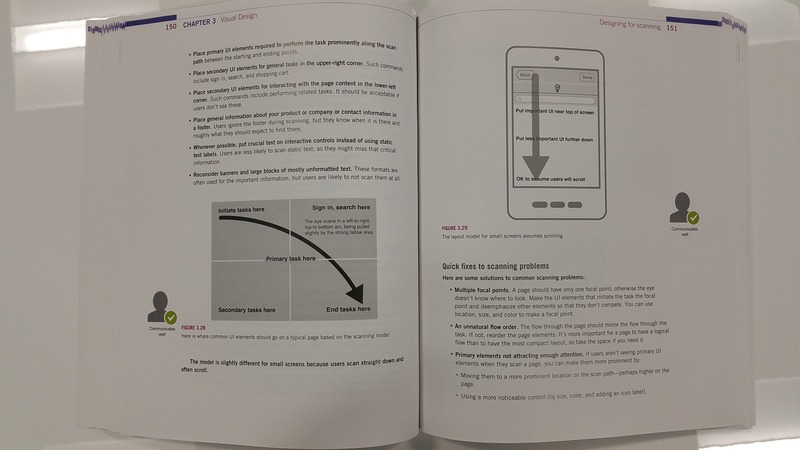 The book offers brilliant insights and good practices for people new to design and for those who are more experienced who wish to step back and slightly change their perspective on UI and design. “UI is communication” is an interesting and pleasant read that analyses, through the lens of communication, various aspects of interface design. From the first chapter to the last, the challenge is to help designers to humanise their design, giving it a voice, character, personality, emotions and empathy. Every design phase is examined in the light of creating and increasing an effective communication flow between digital interfaces and humans. In the view of the author, to design an interface is telling a story that should be coherent and harmonic, in every aspect. 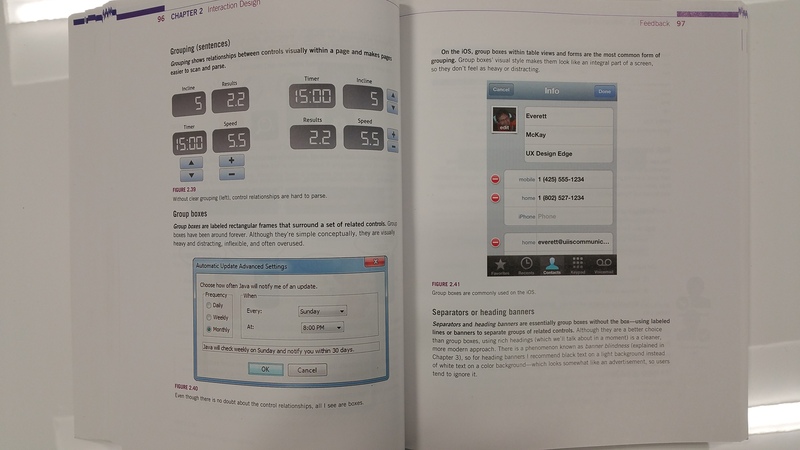 As in a face-to-face conversation, both the communicator (the digital interface) and the receiver (the user) are taken into consideration, with the aim to create a smooth interaction between rational and emotional, because “if we want users to like our software, we should design it to behave like a likeable person”. Best practices and examples are shown for every topic, made even more valuable and effective because of the direct comparison with general and common mistakes, clearly visually presented under the label “communicates well”, “communicates poorly” or “designed for robots”. In the last chapter, the communication-driven design process is introduced; each phase of the process is presented within a team work context with particular attention in exalting the power of a multidisciplinary approach. The author presents an overview of alternative design approaches with detailed examples of the challenges that a designer has to face in various scenarios, following step by step all the design process, from the outline of a concept to the usability studies. 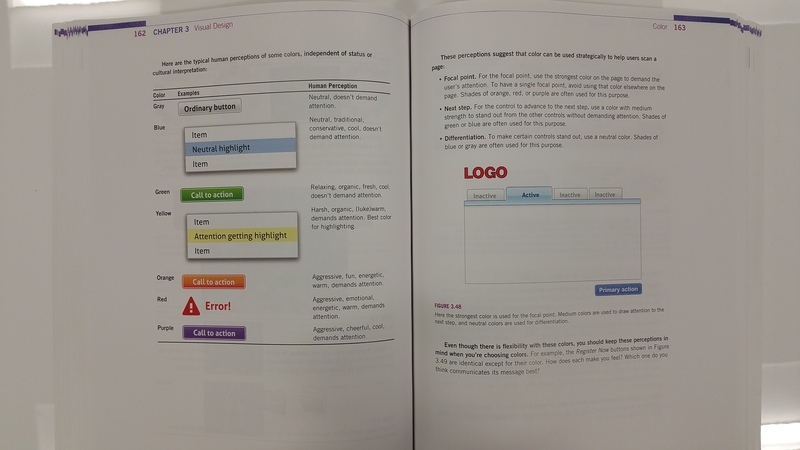 In writing this book, the author really thought about all possible reader types; for those who are new to design and aren’t familiar with the technical lingo, a glossary has been attached in the appendix of the book. Numerous tips, examples and visual clues help the reader to skim and to find the chapter that are most relevant and the information most needed. The exercises at the end of every chapter are a creative and handy shortcut to consolidate what is learned. I really appreciated the constant bid to engage with the reader – nothing is taken for granted and the exercises are an effective invitation to “test for yourself”. This is not only a manual, it is also an invitation to open up your perspective and to look further when designing a digital interface, with the awareness that “users are humans, not robots” and UI should be designed for humans. Veronica is a Media Psychologist at Keep It Usable. 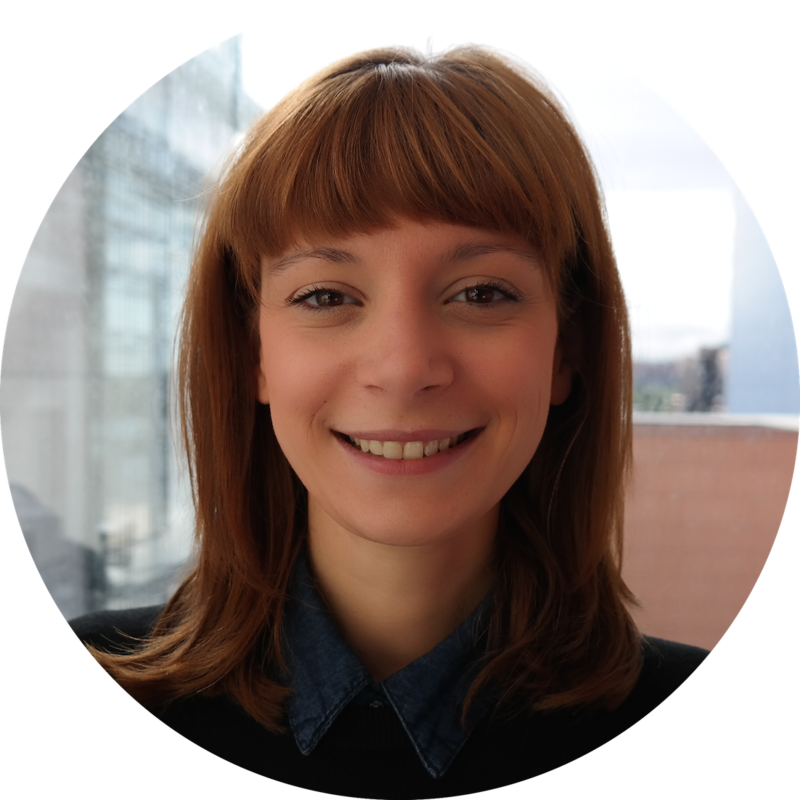 She enjoys uncovering deep insights to understand behaviour and user psychology.